The 21st edition of FIFA world Cup will take place in Russia from June 14, 2018 to July 15, 2018 so there will be 32 days of exciting football matches waiting for you. FIFA World Cup takes place every 4 years and the last world cup was hosted by the South American country Brazil. There were many requests from users for providing 2018 FIFA World Cup Schedule in Malaysia Standard Time (MST) which is also known as Malaysia Time (MYT) and so here we are with that. 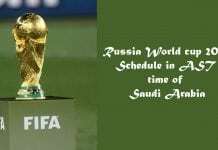 We know there are a lot of football crazy fans in Malaysia and they want to enjoy the FIFA World Cup 2018, but as the world cup is in Russia there will be a slight bit of difficulty in finding the match timings. So here we are for you, we will provide you the Match Schedule of FIFA World Cup 2018 in Malaysia Time (MYT) for all the 64 matches so that you never miss a match. Russia is a country with many different time zones. The Matches in Russia will be played as per UTC+2, UTC+3, UTC+4 & UTC+5. The Malaysia Standard Time is UTC+8:00 hence we converted the timing of all the matches in UTC+8:00. As usual, tournament has 32 participants divided in to eight groups as each groups consist of four teams. First round matches are scheduled between 14th June and 28th June. First round is a groups stage tournament, which is played as league format. Two teams, who score more points from each group will advance to second round. Here is the complete match schedule of First round of 2018 FIFA World Cup. FIFA World cup 2018 Time Table is basically divided into 2 stages. The first stage is group and second stage is the knockout stage. These stages are divided into 3 more stages round of 16, Quater finals and semi-finals. Group Stage: Fifa makes 8 groups for Fifa world cup 2018 schedule. Every group has 4 teams in it. 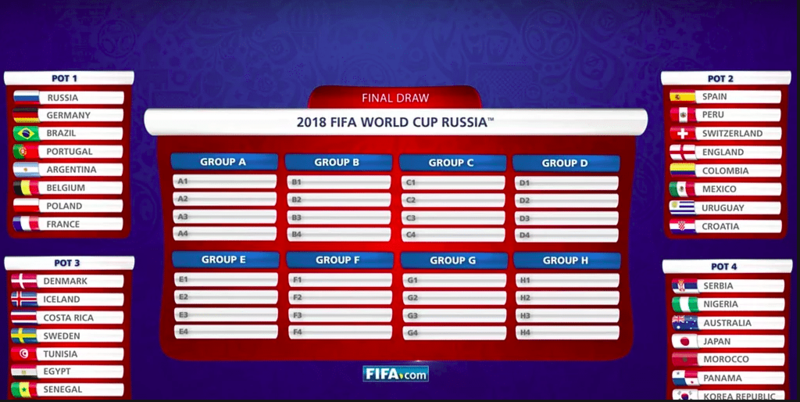 Every group has an English alphabet name from A to H. 48 matches will be played in the group stage. Every team will play 3 matches. Top 2 team of every group will play for the knockout stage. Knockout Stage: Pre-quarterfinals, Quater finals and semi-finals and final are the part of the knockout stage. This is a crucial stage for every team in this stage if a team lost 1 match that team will be kicked out from the Fifa world cup Russia 2018. Time Zone Difference Between Russia And Malaysia: Moscow is the capital of Russia that is why for Russia Fifa world cup 2018 we compare Malaysia time zone with Moscow local time zone. There is a 5-hour time difference between the capital of Russia Moscow and Capital of Malaysia, Kuala Lumpur time. Moscow uses UTC+3 time zone. Malaysia uses UTC+8 time zone. Spouse if in Moscow the time is 18:00 then in Malaysia it will be 23:00. Please share this article with your friends and family. 30th June 49 France vs Argentina 11:00 PM Kazan Arena, Kazan. 30th June 50 Uruguay vs Portugal 2:00 AM Fisht Olympic Stadium, Sochi. 1st July 51 Sapin vs Russia 11:00 PM Luzhniki Stadium, Moscow. 1st July 52 Croatia vs Denmark 2:00 AM Nizhny Novgorod Stadium. 2nd July 53 Brazil vs Mexico 11:00 PM Cosmos Arena, Samara. 2nd July 54 Winner Group G vs Runner-up Group H 2:00 AM Rostov Arena, Rostov-on-Don. 3rd July 55 Sweden vs Switzerland 11:00 PM Krestovsky Stadium. 3rd July 56 Winner Group H vs Runner-up Group G 2:00 AM Otkrytiye Arena, Moscow. 6th July 57 Uruguay vs France 11:00 PM Nizhny Novgorod Stadium. 6th July 58 Brazil vs Belgium 2:00 AM Kazan Arena, Kazan. 7th July 59 Sweden vs England 11:00 PM Cosmos Arena, Samara. 7th July 60 Russia vs Croatia 2:00 AM Fisht Olympic Stadium, Sochi. 10th July 61 France vs Belgium 2:00 AM Krestovsky Stadium, Saint Petersburg. 11th July 62 England vs Croatia 2:00 AM Luzhniki Stadium, Moscow. 14th July 63 Loser 61 vs Loser 62 11:00 PM Krestovsky Stadium, Saint Petersburg. 15th July 64 France vs Winner 62 11:00 PM Luzhniki Stadium, Moscow. 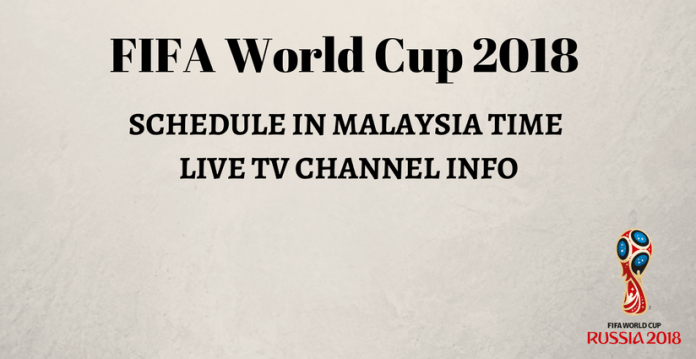 If you are not from Malaysia then you can check out the general time formate FIFA world cup schedule. 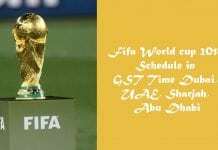 where we have provided complete details about FIFA world cup schedule, fixture, date, time, venue and also we have provided completed details about all the eight FIFA 2018 groups with national football teams. 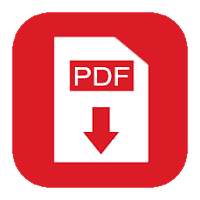 Football cup 18 pdf file is available you can Catch the Russia football cup 18 timetables in Pdf file format and you that file anywhere you want. If you want to print the calendar of upcoming football cup and searching for calendar format you can get the FIFA fixtures calendar format and make your own calendars of football cup. Get the printable chart of biggest football sports event fixtures and print the FIFA cup schedule in your own desired size and format. Astro broadcast the 2018 Fifa world cup live Telecast in Malaysia. Astro Supersports network is Malaysia Dedicated to Broadcasting sports related content which provide 24 hours a Day. Astro SuperSport offers a variety of international sporting events such as football, badminton, motorsport, rugby, volleyball, cricket and golf on various channel of Astro Supersport 2, 3 and 4. Malaysia viewers enjoy the Football World cup 2018 Matches from 14 June to 15 July on this Channels of Astro superspot which is available on Channel 810 (SD) and Channel 831 (HD). The official broadcaster of the upcoming Russia World cup of Astro who is giving all Malaysians a chance to catch all the matches with the new World Cup Channel Pass on all screens! Yes the World Cup Channel Pass is available to exisiting Astro Sports Pack, SuperPack and SuperPack Plus customers who will also stand a chance to win an all-expense paid trip to Russia. If you are a lucky one! All 64 Nail Biting matches live will be broadcast on the dedicated FIFA World Cup channels in HD (CH823, CH824) and SD (CH821, CH822). Astro Arena TV channels Who will be shown 22 live matches for free for users! So if you are from malaysia watch them on Astro GO, Astro and NJOI. One of the other better moves as For the first time in the history, Astro and NJOI Prepare customers will be able to enjoy exclusive World Cup Matches on Stadium Astro app and VR app. On that Platform of VR Apps Not only you will be able to view the soccer world cup matches live with multi-angle cameras but also virtually travel to the actual stadium for a 180° view of the matches, LIVE! So don’t Miss out the Fifa world cup 2018 matches. Stay Tuned here for the More information like How to Watch Fifa world cup 2018 live in Malaysia Country as well as Official TV channels who broadcast the Russia Football World cup All 64 Matches Live Telecast in Malaysia. By the way, don’t forget to share this share with your friends living in Malaysia, so that all the football fan will have the idea and knowledge of FIFA schedule of 2018. Do let us know which team you are supporting this FIFA world cup via commenting down below. In this article we are sharing the world cup 2018 schedule in Malaysian time. Stay Tuned here for the More details like How to Watch Fifa world cup 2018 live online in Malaysia as well as Official TV channels who will broadcast the Russia Football World cup All 64 Matches Live Telecast in Malaysia. Please share this article on social media platforms like facebook google+ twitter etc. Malaysia Viewers can Enjoy the Russia WC 2018 Matches live coverage on Astro channel.